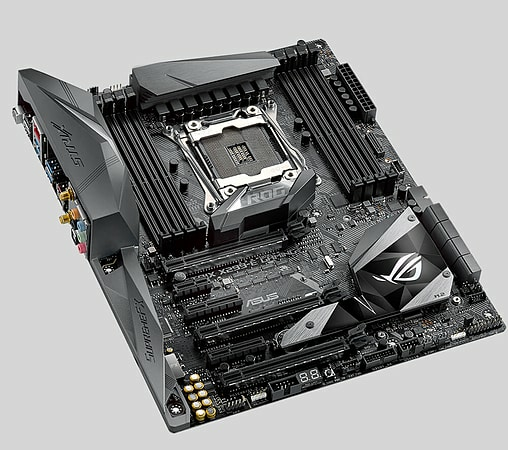 Infused with the essential gaming spirit that is ROG, Strix X299-E Gaming is hungry for high-performance Intel® Core™ X Series processors — and ready to satisfy your desire for X299. 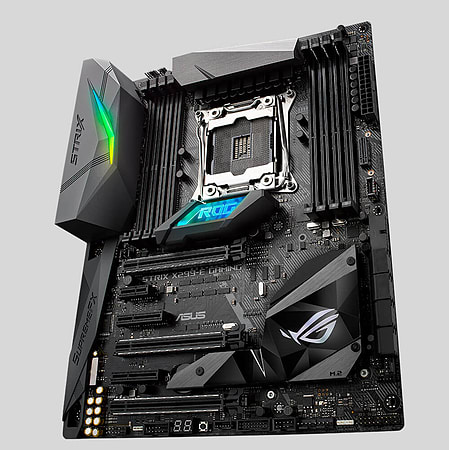 ROG Strix X299-E Gaming is loaded with powerful tuning, overclocking, cooling and personalisation innovations to make your next build as agile as your ambitions. 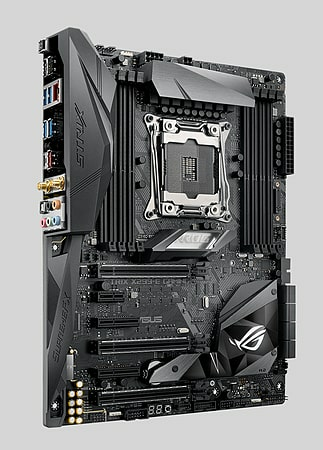 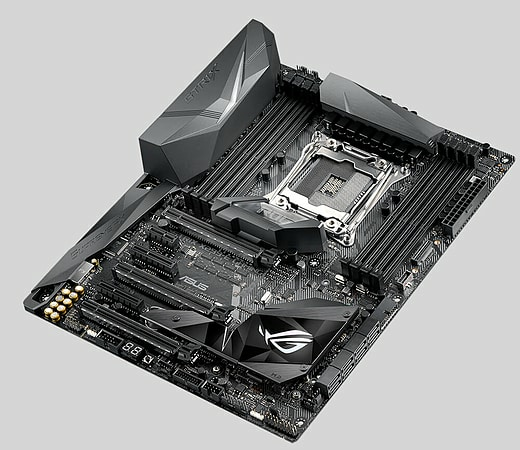 We've channeled ROG engineering ingenuity into Strix X299-E Gaming to create a standout ATX motherboard that's tricked out with superior SupremeFX audio for deeper in-game immersion, Aura Sync lighting with an all-new addressable-RGB-strip header to unleash infinite illumination possibilities, and special mounts that make it easy to create your own 3D-printed upgrades. 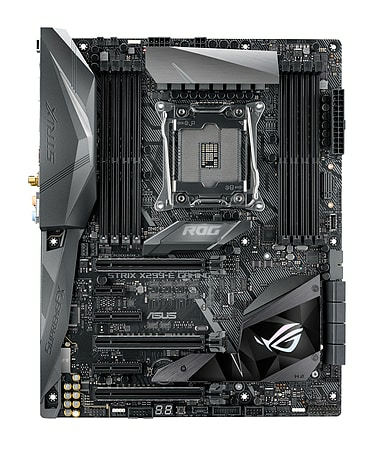 Infused with the essential gaming spirit that is ROG, Strix X299-E Gaming is hungry for high-performance Intel® Core™ X Series processors — and ready to satisfy your desire for X299.